Every now and then, engines need a little maintenance. They don’t need anything replaced or a full refurbishment, they need engine tuning. Cadnam Garage Services in Cadnam, Southampton is dedicated to offering only the best service for your engine needs and will only do the work that is needed or that you ask for. 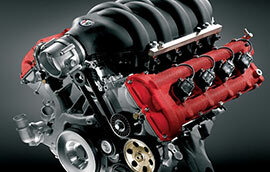 Don’t panic about your engine tuning costing a fortune. You want to know that your engine is tuned to the highest standard, which is why Cadnam Garage Services only employs the best mechanics for the job. We’ve had plenty apply but we want those with attention to detail and a passion for their work. That way, you can sit back in the knowledge that your car engine is in good hands. As well as that, we only use genuine parts from trusted suppliers. They are affordable but offer the best quality so you don’t have to come back and keep spending a fortune. At Cadnam Garage Services in Cadnam, Southampton we will tune the engine of any car, no matter its make and model. If you have any questions or doubts, don’t hesitate to contact us where a member of our team will be happy to help. If you’re worried about voiding your manufacturing warranty, please let us know. We can make sure the exact parts are sourced, whether you have a Ford, Mitsubishi or a BMW. We want the best for your engine. Engine tuning in Cadnam, Southampton doesn’t have to be expensive. Cadnam Garage Services offers an excellent service at affordable prices.